The evolution of the Pink Boots Society, the non-profit organisation set up to assist and encourage women working in beer, continues apace. As the 2018 series of collaborative brews kicks off at Boatrocker in Braeside today, the Australian wing of the global society has its own hop blend to play with and is launching in Tasmania too. 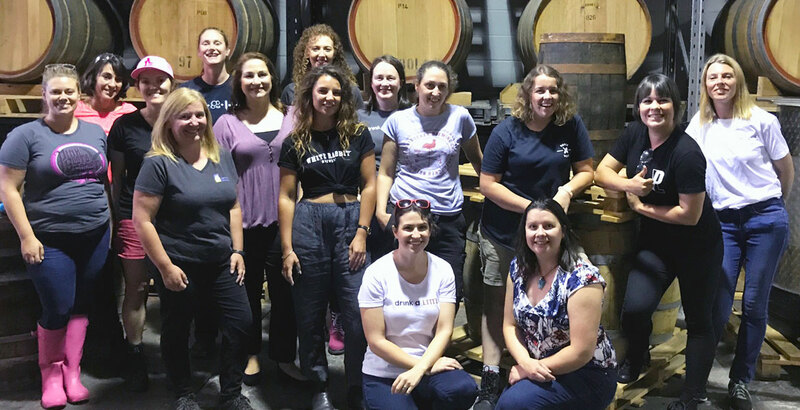 In celebration of International Women’s Day, Pink Boots Society Australia is hosting a series of brew days across the country, with five state-based chapters brewing different beers at five breweries. 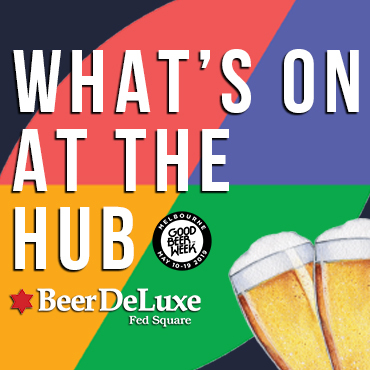 Annabel Meagher, who runs Himmel Hünd Brewery, is a Pink Boots vice president and has been coordinating the various brew days. She says the diversity of the final beers – they range from an IPA and an India saison to a peach iced tea pale ale and a couple of sours – shows the creativity of Pink Boots’ state chapters. “It’s really exciting to see what people are coming up with and to coordinate all the different breweries,” says Annabel (third from left above). The new hop blend – dubbed Pink Boots Blend – was developed by Yakima Chief – Hopunion in conjunction with the American chapter of Pink Boots. It features a combination of Simcoe, Mosaic, Citra, Loral and Palisade hops and has been brought into Australia by Bintani, who are sponsoring the collaboration brews alongside Joe White and Cryer Malt. 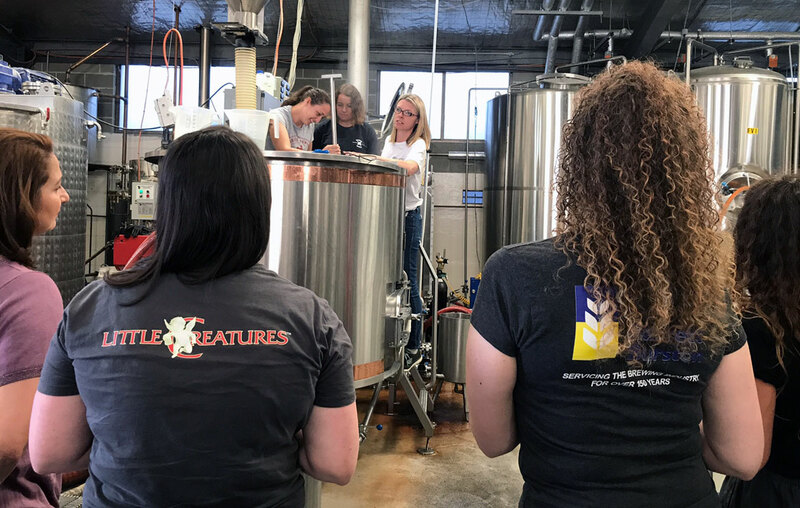 Pink Boots was founded in America with the aim of empowering women in the brewing industry and Annabel says educational and collaborative brew days like these are one way the organisation works towards its mission. “Among our goals for Pink Boots is for our members to understand more about the brewing process but also to network with other women in the industry to learn from them,” she says. Here at The Crafty Pint, we have firsthand experience that it works too: we discovered our graphic designer after she met one of our writers at a past PBS brew day. Ruth Barry mashes in with a plethora of assistants at Boatrocker this morning. 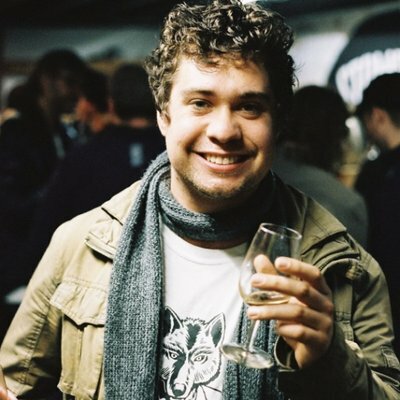 In Tasmania's south, the state's first PBS brew day will be taking place at Bruny Island Beer Co, where Stephanie Schrodka runs the brewery with her partner Evan Hunter. “It gives me the opportunity to expand my network,” says Stephanie. “Through being a part of the Pink Boots Society, it gives me kind of a platform to have a voice and to be able to reach out and ask questions that you don’t always want to ask. “But also, by going to different states, I can go to these Pink Boots meetings and instantly make friends and feel a part of being something a bit bigger." The Australian chapter launched in 2013. Now, as it approaches its half decade, Annabel, who last year won a PBS scholarship to travel to Bavaria (a trip you can read about here), says more people in the Australian beer industry understand Pink Boots and its mission than ever before. What's more, the networking outside these shores is growing stronger too. For more on the Pink Boots Society's activities in Australia, head here.